The group of Near Eastern archaeology undergraduates and doctoral students headed by Prof. Dirk Wicke of the Institute of Archaeology at Goethe University were in Northern Iraq for a total of six weeks. It was the second excavation campaign undertaken by the Frankfurt archaeologist to the approximately three-hectare site of Gird-î Qalrakh on the Shahrizor plain, where ruins from the Sasanian and Neo-Assyrian period had previously been uncovered. The region is still largely unexplored and has only gradually opened up for archaeological research since the fall of Saddam Hussein. The objective of the excavations on the top and slope sections of the settlement hill, some 26 meters high, was to provide as complete a sequence as possible for the region’s ceramic history. Understanding the progression in ceramics has long been a goal of research undertaken on the Shahrizor plain, a border plain of Mesopotamia with links to the ancient cultural regions of both Southern Iraq and Western Iran. These new insights will make it easier to categorise other archaeological finds chronologically. The excavation site is ideal for establishing the progression of ceramics, according to archaeology professor Dirk Wicke: “It is a small site but it features a relatively tall hill in which we have found a complete sequence of ceramic shards. However, the archaeologists had not expected to find a Sasanian loom (ca. 4th-6th century AD), whose burnt remnants, and clay loom weights in particular, were found and documented in-situ. In addition to the charred remains, there were numerous seals, probably from rolls of fabric, which indicate that large-scale textile production took place at the site. From the neo-Assyrian period (ca. 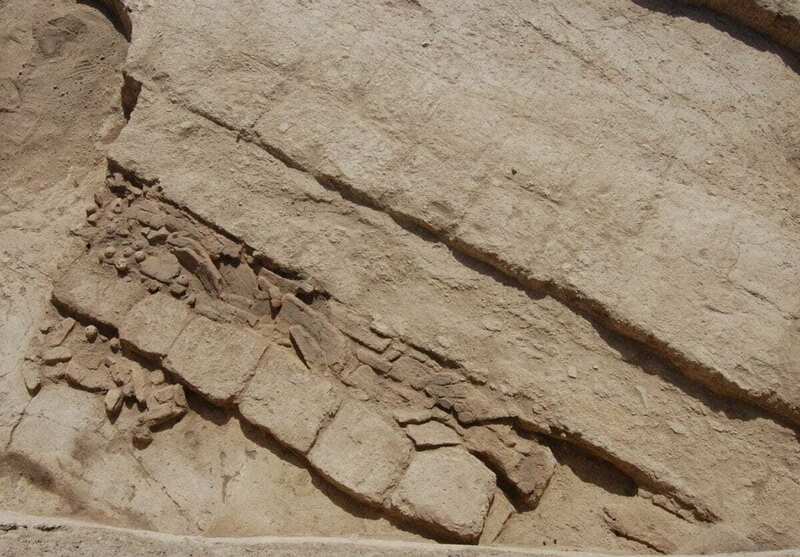 9th-7th century BC), by contrast, a solid, stone-built, terraced wall was discovered, which points to major construction work having taken place at the site. It is possible that the ancient settlement was refortified and continued to be used in the early 1st millennium BC.